Oh my god!! I can't believe this, Aditi!! And I am running short of words, too...I mean, this is the most amazing thing anyone has done for me! I am so, so thankful... Love you to bits! Muaah! :) Thank you and I'm sure you'll love her blog! Thank you Aditi for introducing Sangeeta's blog. 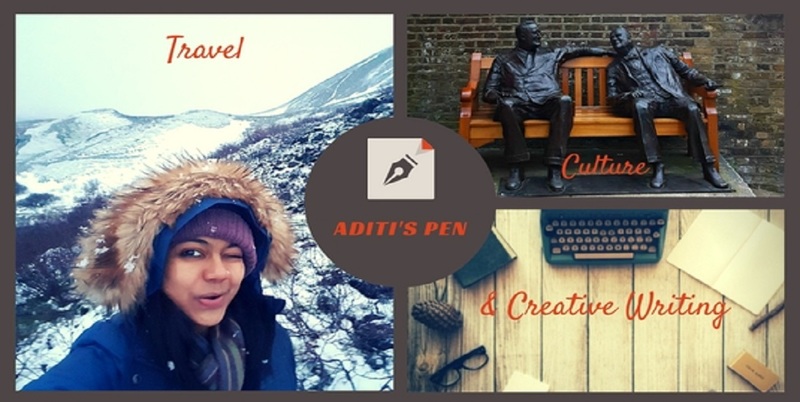 Love Sangeetha's blog, Aditi! How wonderful to connect via blogs and find friends for life! God Bless you Aditi for introducing such a wonderful photographer to me. WOW is the only word for her photographs and blog! Thanks Jyoti :) so glad you like her blog! It is always nice to come across like-minded people, the bonds we form without meeting them are so precious. thanks for introducing sangeeta to us, will check out her blog and also visit Sugandha's blog...congrats. True Sulekha :) Blogging has made us connect with such wonderful people. I truly cherish these virtual ties! I know right? Simple and yummy receipes she has there. I've tried few too! I read Sangeetha's blog and really liked it. Thanks for the introduction! Okay why do all the best blog writers stay in Bangalore? I'm relocating. Till then I'll check out Sangeeta's blog. Hehe..I said the same to Meena :) I'm sure you'll like Sangeeta's blog! Hey, thanks for showing us the way to Sangeeta's blog! Great presentation! Tex you'll love Sangeeta's blog...you both share love for the birds! Sangeetha's blog looks quite interesting!! Sure Corinne :) Thanks for this idea of blog love...feels great to spread so much joy! Mausiiii :) :) Thank you!